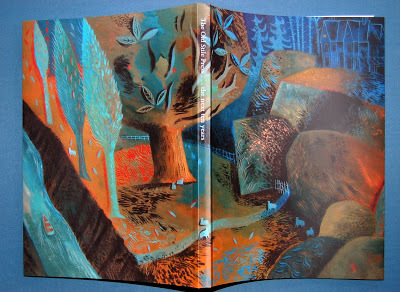 It is always exciting to see more of the work produced by artists with whom we have created books and 2011 seems to promise several. Opening on 11 January at Pallant House, Chichester, Garrick Palmer is having a retrospective. The gallery is well-known to those who share our love of neo-romantic painting, having a considerable permanent collection of modern British works. These are housed in a new, award-winning building for which Garrick created a photographic archive of each stage of its construction. 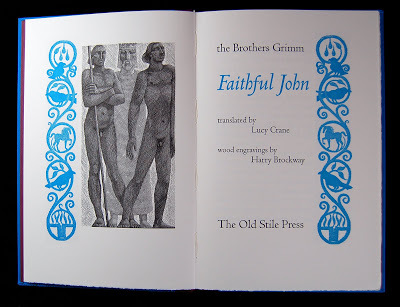 This exhibition, however, celebrates his lifetime of wood engraving and books. 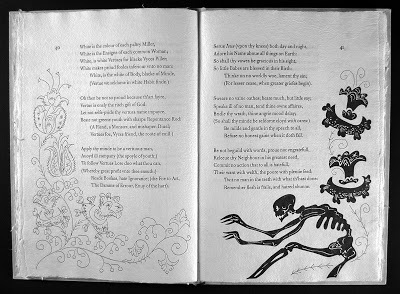 Included among his many engraved books on show will be LAND and The Ballad of Reading Gaol – the books he has produced with us. 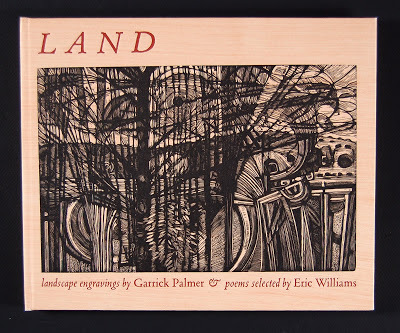 A retrospective exhibition of prints and book illustrations from across Palmer’s career, demonstrating the artist’s mastery of wood engraving and distinctive view of the English landscape. Harry Brockway is among the group of Six Contemporary British Wood Engravers showing at the Washington Printmakers’ Gallery at Pyramid Atlantic in Silver Springs. Opening on 22 January between 12 and 2 at MOMA Wales, Susan Adams is showing works with the title There are receivers in the Woods. The exhibition runs 24 January – 19 March 2011. 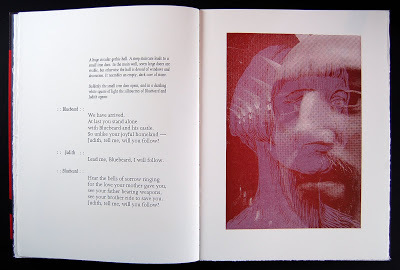 Susan’s book with us – Duke Bluebeard’s Castle – has magnificent and disturbing images combining traditional woodcuts printed over computer generated images derived from photographs. These complement the text which is the powerful and many-layered libretto of Bartok’s opera. Looking a little further, into May, there will be a retrospective of Clive Hicks-Jenkins work to celebrate his 60th birthday. This opens at the National Library of Wales (the Gregynog Gallery) on 7 May and runs to the 20th August. This also coincides with the expected publication, by Lund Humphries (http://www.ashgate.com), of a book of essays on his work. Clive’s Artlog has many fascinating details of paintings from his archive which he has been describing and photographing and give an enticing lead-in to what promises to be a magnificent event that will include readings of poetry inspired by his pictures and some which have inspired him to paint. There will be full evidence (in a small gallery leading into the main space) of his collaborations with us in The Affectionate Shepheard, The Mare’s Tale, Richard Barnfield’s Sonnets and, most recently, Sir Peter Shaffer’s Equus. His covers for the two volumes of our Bibliography are wonderfully neo-romantic to suit our own predelictions, if not the entire range of books described within the book! This talk of our new Bibliography leads, as a postscript to this post, to mention of the fact that the book caught on in a big way during the few weeks since publication and has brought forth many generous comments. Have you got your copy yet? . . . !